No matter how much effort Microsoft invests in remodeled Microsoft Store, it’s still a long road before it takes the predestined path of replacing standard programs in Windows platform. Besides the standard downsides, the main reason why its success is stalled can be found in frequent, debilitating errors. The one we’ll try to address today concerns Microsoft Store missing after an update. Namely, users are unable to access Microsoft Store as its icon is missing from the Start menu and rebooting the machine doesn’t help at all. For that purpose, we provided a list of 5 rather common but mostly successful guidelines which should help you address this issue. You can find them below. First things first. After you are completely certain that there’s no Microsoft Store icon or any way to run it, let’s move to an obvious opening troubleshooting step. Windows implemented the native Store Apps Troubleshooting tool that should help you in this and similar scenarios. Scroll to the bottom and expand the Windows Store Apps troubleshooter. Click on the ”Run this troubleshooter” button. Wait until the troubleshooter resolve issues and check if Microsoft Store reappeared. Download troubleshooter by following this link. After it resolves errors, restart your PC. In the command line, type wsreset.exe and press Enter. Close the command line and you should be good to go. Reinstalling Microsoft Store isn’t possible in a common way. What you can do is to re-register Microsoft Store by using system resources. For this, you’ll need to run a certain command in the PowerShell elevated command line. After you run this command, your Microsoft Store should be restored to its default values. In the Windows Search bar, type PowerShell, right-click on the PowerShell and run it as admin. 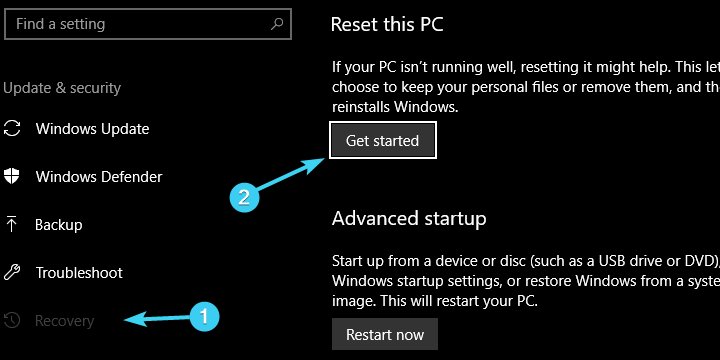 Once the process ‘reinstalls’ Microsoft Store, restart your PC. Even though this is a long shot, the problem you’re facing can relate to missing or corrupted system files. Of course, the focus is on Store system files that are affected by the recent update. For that matter, we advise you to run DISM (Deployment Image Servicing and Management) tool through Command Prompt and move from there. This tool specializes in fixing critical system files, by locating them and retrieving their initial integrity. Even though this proved to be a proper solution on multiple occasions, it’s still not a certainty that it’ll retrieve missing Microsoft Store. In case it doesn’t and your nerves are looser as the time pass, make sure to check the final solution on the list. Finally, if none of the aforementioned steps did the job for you, the only remaining solution that crosses our mind is the recovery option. Now, you can also perform a clean reinstall, but that might take some time. However, with the Reset this PC, you can choose to keep your files and still restore settings and system configuration to factory values. Which requires much less effort and time. In the Windows Search bar, type Reset and open Reset this PC from the list of results. Click on the ”Get started” button. Choose whether you want to keep or discard your files and start the restoring procedure. Once your system is refreshed, you should have an easy time to locate Microsoft Store. 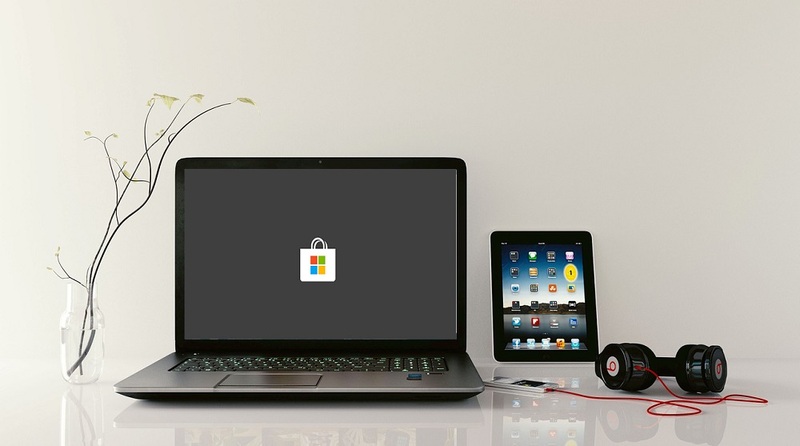 We hope that the offered solutions helped you get out of the trouble and retrieve Microsoft Store. In case you have additional solutions or questions regarding the ones we posted above, please do tell us in the comments section below.